Today was another mostly gray day. So much for the sun of yesterday. Our high today was 38 with cold north wind. It’s only 8:00pm now and WeatherBug says its already 30 with a wind chill of 23. We have had lows at or below freezing for four days and the forecast is for that to continue for the next 10 days. That is really unusual for this part of Alabama. Now I know we aren’t cold as compared to Wisconsin and Minnesota, but we are not accustomed to prolonged below freezing temperatures. It is not expected get above freezing from Sunday until Tuesday. We need to find warmer weather. Today we worked on packing out FRED. Yes, we are going south! 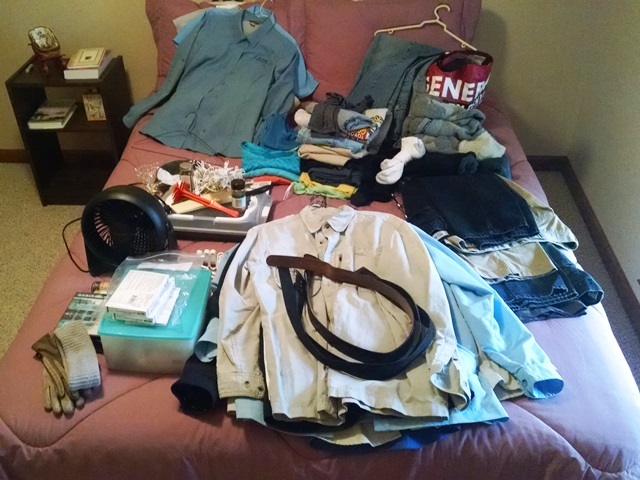 We use the guest bedroom bed as a staging area for all the stuff that needs to be loaded. We started today, of course, with our exercise, then multiple loads of laundry. Before long the staging area was full and we started making trips to FRED. We got in a lot of steps today. We haven’t decided when we are heading south. We had planned to leave January 1, but are watching the forecast. We may leave sooner. They keep throwing out that “S word” that is not a nice word around here. We have had snow once this winter and that is enough. 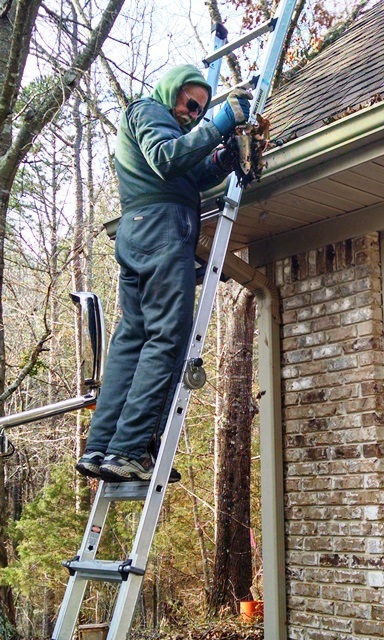 Max also took time today to clean the gutters. So many trees, which we love. But they make for so many leaves. This time of year, every year, we know we need to get some of the trees taken down. Some have gotten too large and too close to the house. Anyone know of someone in the area that does a good job with that? That’s about it around here today. Praying for our northern friends during this dangerous cold weather. Also, we would as you to remember our friend’s son who deployed yesterday with the Air Force. 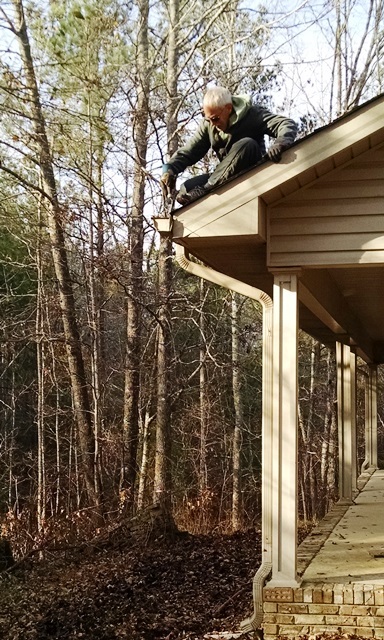 You need gutter guards. Lol. Wishing you safe travel and rest before you start new jobs. I know Donna and Barry are going to miss you. ❤️.